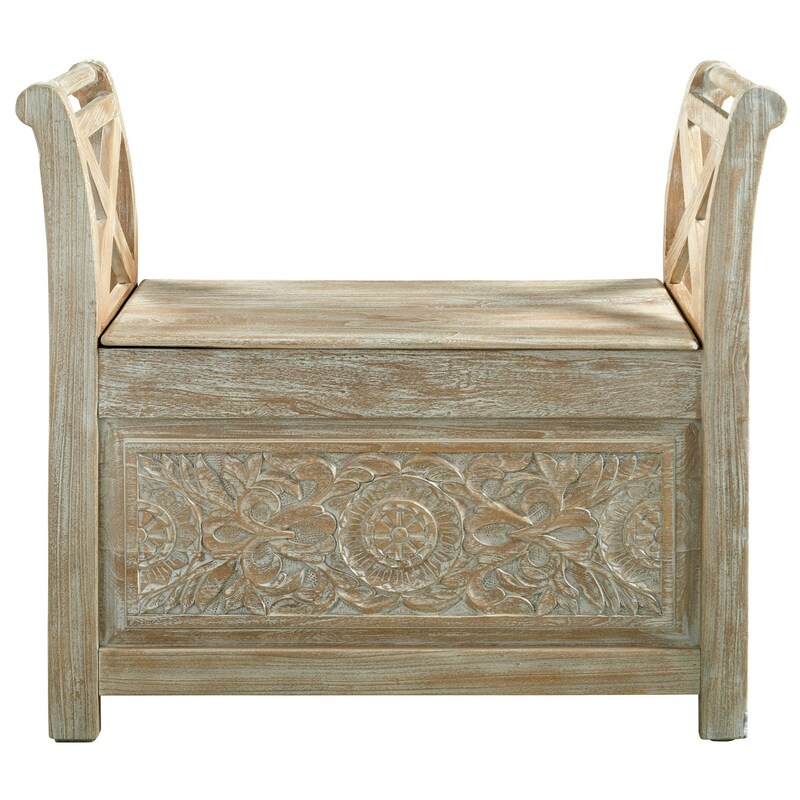 A white wash finish and ornate details in a floral motif offer stylish a boho look to this accent bench. Underneath the hinged top is useful storage space that makes the bench perfect for an entryway, bedroom, or living room. The Fossil Ridge Storage Accent Bench with Carved Floral Details by Signature Design by Ashley at Household Furniture in the El Paso & Horizon City, TX area. Product availability may vary. Contact us for the most current availability on this product.